As President Trump pulls U.S. troops out of Syria and Afghanistan, his secretary of state Mike Pompeo and national security adviser John Bolton are taking their frustrated interventionist impulses south to Venezuela. Why Venezuela, a country of 32 million people on the north coast of South America? The country poses no threat to the United States. Venezuelan immigrants throng Miami, but they are not found on the Mexican border where the president claims falsely that there is a crisis. Outside of Florida and Washington, D.C., few Americans have any discernible interest in the country. Oil is a huge factor. Venezuela is one of the world’s largest oil producers, though now most of its oil revenues go to pay off Russia. Now the Trump administration seeks to channel the oil revenues to its preferred president, Juan Guaido. The most plausible explanation is that Trump doesn’t want to fight land wars in the Middle East, but he does want to look tough. An attack on the socialist legacy of Hugo Chavez and the failed rule of Chavez’s successor Nicolas Maduro offers a way to project his manliest self without the intolerable demands of being an actual wartime president. And “filibuster” is the apt term. Long before “filibuster” signified a lengthy speech in the U.S. Senate, a filibuster (filibustero in Spanish) referred to an American adventurer who sought to foment insurrection in Central and South America in the 19th century. A filibustero was a knight of American exceptionalism, in other words, a racist and a troublemaker. In Bogota, former Colombia President Alvaro Uribe tweeted back, “No, gracias,” but was otherwise supportive. What a change from 15 years ago. 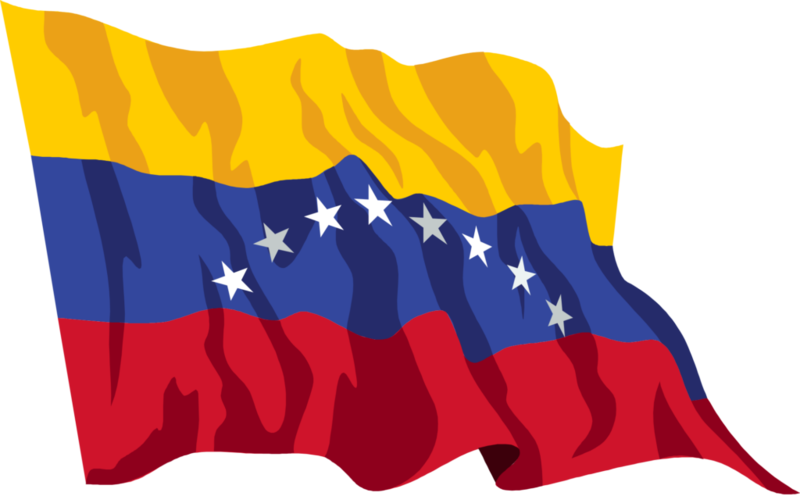 In 2002, president Hugo Chavez, the self-proclaimed Bolivarian revolutionary, confronted a military coup supported by the United States. Governments across Latin American rallied in defense of Chavez’s government. President Georbe Bush, obsessed with drumming up an invasion of Iraq, didn’t care to get involved. The coup fizzled. Now Latin America has more conservative governments. They feel threatened by the exodus of some 3 million Venezuelans into neighboring countries. What remains the same is what Latin American scholar Abe Lowenthal calls the “hegemonic presumption” of the U.S. government. The presumption is that Latin America is the United States’ “backyard.” In this mental construct, Venezuela is seen as a private domain where Washington can do what it pleases, with or without the support of other countries. Now the United States has the support of a dozen countries. The cast of characters hasn’t changed. Trump’s special envoy to Venezuela, Elliott Abrams, was pursuing regime change in Latin America, via illegal means, more than 30 years ago. Convicted of withholding information from Congress in the Iran-Contra conspiracy, Abrams was pardoned by the late President Bush. John Bolton is on record as favoring regime change in Libya,Syria, North Korea and Iran. Alas, Libya’s Qaddafi is dead, Bolton’s boss is pulling U.S. troops out of Syria (which Iran welcomes), and Trump is making kissy face with Little Rocket Man in North Korea. Without Venezuela, what would a mustachioed warmonger do with his time? Two CIA targets; Cuba’s Fidel Castro and Chile’s Salvatore Allende. The CIA has a 75-year history of regime change operations in Latin America going back to the coup in Guatemala (1954), the failed invasion of Cuba (1961), scores of assassination attempts in Cuba (1961-2001), the invasion of the Dominican Republic (1965), election meddling and a coup in Chile (1964-73), intervention in Nicaragua (1980s), invasion of Panama (1990) and a soft coup in Honduras (2009). While we don’t have verifiable information about the CIA’s activities in Venezuela today, U.S. regime change operations in Latin America have seven consistent features, some of which are already visible in Venezuela today. The CIA stations in the regions have long had strong relations with local partners. “CIA-trained Cubans controlled DISIP, the Venezuelan intelligence service, in the 1970s,” Kornbluh said in an interview. One of those Cubans, Luis Posada (known by the CIA cryptonym AMCLEVE-15), played a central role in planting a bomb on a Cuban airliner in 1976, killing 73 people. He took refuge in Venezuela and became a senior official in DISIP. Chavez purged the intelligence service of pro-American officers, but the CIA never stops recruiting. When Elliott Abrams started helping mount covert regime change policies in the 1980s, his formal job title was assistant secretary of state for human rights. He broke the law in service of human liberty, he explained. Otto Reich, another Reaganite regime changer in the 1980s, used the State Department’s Office of Public Diplomacy as the cover for covert operations. According to a House Foreign Affairs Committee report, senior CIA officials used Reich’s office to mount a “domestic political and propaganda operation” in support of Nicaragua policy. Reich never lost his taste for intervention. Two decades later, in the second Bush administration, he became assistant secretary of state for the Western Hemisphere and supported the failed coup against Chavez. More recently, the National Endowment for Democracy (NED), a U.S.-funded agency, has funneled millions to the opposition groups in which Guaido rose to political prominence. Venezuela says NED is a front for covert operations; the U.S. government denies it. In 1985, I wrote a story that appeared in the New Republic about how CIA officers created, guided and controlled the Nicaragua Democratic Force (FDN), which sought the overthrow of the country’s leftist government. What if someone asked where the FDN got their money? “Say your sources want to remain confidential,” Feldman advised, a clever answer redolent of truthiness. Echoes of such evasions can be heard in the denials of some Venezuelan opposition groups today. The CIA does not mount regime change operations by itself. The WikiLeaks cables illuminate multiple examples of deploying the State Department. In the 2015 book The WikiLeaks Files: The World According to US Empire, the radical transparency group highlighted numerous State Department cables documenting how the United States sought to undermine elected governments whose policies were opposed by local economic elites and U.S. policymakers. When the region rebelled against Morales’ government in 2007, many Latin American governments feared a U.S.-backed coup was in the offing and came to Morales’ defense. His government survived. Nicaragua got the same treatment. In March 2007, the U.S. ambassador asked the State Department to provide an additional $65 million over the next four years “through the next Presidential elections” when the leftist Daniel Ortega would be running for reelection. Enter the Atlantic Council and Center for Strategic and International Studies, which have taken the lead in commenting favorably on the replacement of Venezuela’s current government. CIA operations in Latin America have a way of working their way back to Cuba. Ever since the agency’s invasion force was routed at the Bay of Pigs, the CIA has sought revenge. The agency plotted multiple times to kill President Fidel Castro. They protected the terrorists who bombed the Cuban airliner in 1976. The agency’s problem is that it has been consistently thwarted. In the late 1980s, Cuban intelligence rolled up a CIA operation headed by a Cuban-American officer named Amado Gayol. The government turned this successful counterintelligence operation into a five-part TV series that made the agency look silly in the eyes of the Cuban people. Fortunately for Langley, Americans never learned of that particular regime change debacle. 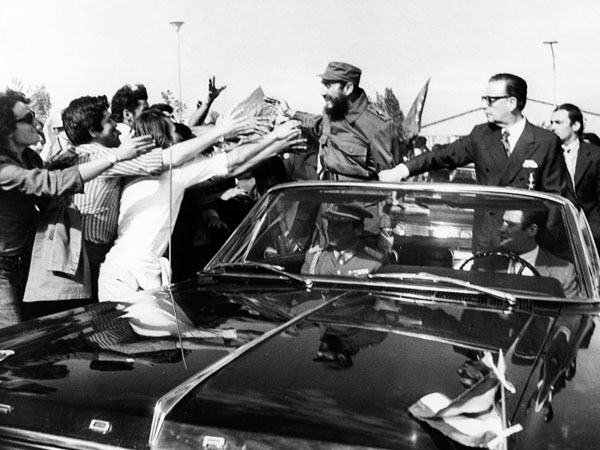 Along the way, Cuba supported leftist movements throughout America’s supposed “backyard.” While revolutionary Cuba failed to build economic prosperity and drove many of its people into exile, the one thing the government in Havana did very well was defying U.S. regime change policies. U.S. regime change policies have usually required indiscriminate violence to succeed. From assassination of senior officials (Cuba, Chile) to invasion and occupation (Dominican Republic, Panama) to peasant massacres and death squads (Nicaragua, El Salvador, Guatemala), the annals of regime change are bloody. Now the CIA has another regime change mission, says Mel Goodman.